A desire for innovative outreach led us to author three children's books. Beautifully illustrated by team members, each book shows that girls can change the world through science and engineering. 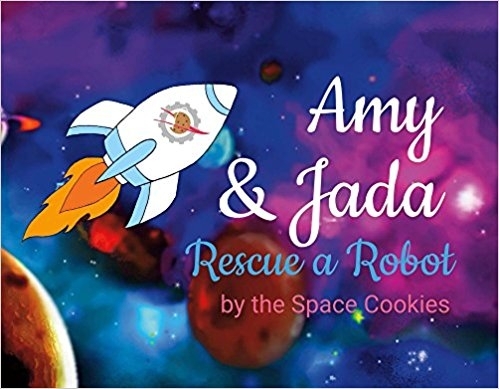 Amy and Jada is about two girls who go on an intergalactic adventure to fix a broken robot. The story of Amy and Jada shows young readers that girls are capable of anything, including becoming engineers and fixing robots. All proceeds from the book are used for community outreach. P is for Prototype tells the story of a young girl who struggles to have her ideas accepted. Despite this challenge, she constructs a functioning prototype and gains confidence in her abilities and respect from her classmates. All proceeds from the book are used for community outreach.